After the excitement of the Great British Cheese Festival (see blog post for full write up: http://themightycheeseboard.blogspot.co.uk/2012/09/the-great-british-cheese-festival-2012.html), I came home with lots of lovely British cheeses to try out and review for the Mighty Cheeseboard, so lets start with this Cotswolds soft (it is very soft hence the deformed piece above that lost some of its shape squashed into a bag full of cheese!) 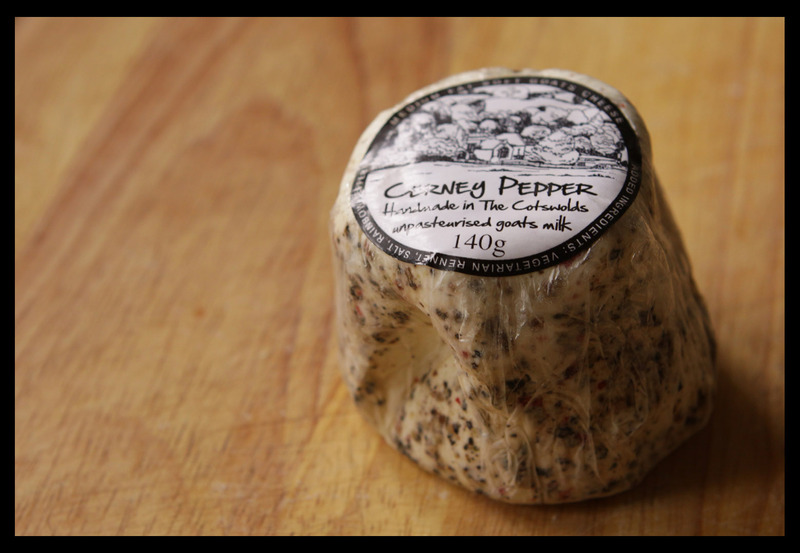 Goats Cheese. It is lovingly made entirely from hand, and from the milk of "loved, cared for and preferably named" local goats. 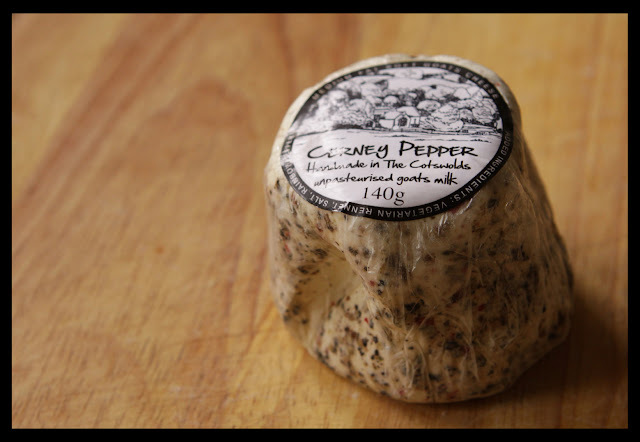 Its soft and very creamy and the Carney pepper is rolled in a coarse rainbow peppermix, which gives the cheese a nice peppery kick & counterbalances its creamyness perfectly. An award winner and a true delight to eat - possibly the best soft goats cheese I've tasted!! !